More Master Angler Awards get handed out from private farm ponds then any other waters in Missouri. Most of the private waters I have access to carry about a pound and a half average, which make for a fun opponent on a fly rod. There is always a chance at a real monster with all ponds giving up 5 plus pound fish every year. Trips are ran from Mid-Spring through Mid-Fall. 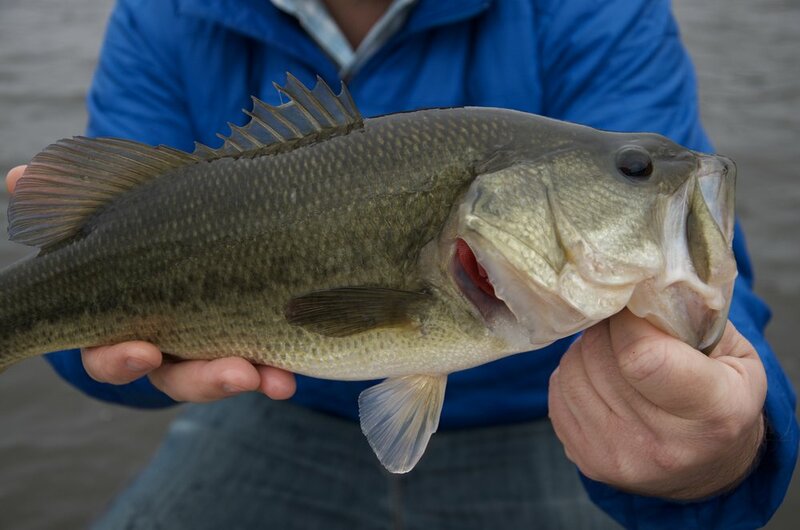 April and May are your best chances of hooking up with a trophy sized Bucketmouth. The Summer is when we hang up the sink tips and breakout the floating line for some topwater action. Frogs and poppers can make for some of the most exciting fishing of the year. The topwater bite can be explosive in July when the Cicadas start to show up. With conditions constantly changing we'll find the best setup to get you hooked up. The trips are 2 hours on the water for 2 anglers, you can pick either a morning session or evening session. The morning and evening are the most productive times to hook up with fish. So that you get the most out of your trip, we're gonna fish the most productive times. All gear, flies, and drinks are included. I use the best new gear from G.Loomis Fly Rods, Nautilus Reels, and ARC Fishing. We will primarily throwing 7 and 8 weight rods with medium to large streamers, to try to pull those donkeys out of hiding. The majority of fishing will be done out of a Hog Island Skiff, with some opportunities for bank fishing.